“Akka, look at the sun I made for you”, said my kid brother who had lost his first milk tooth just few days back, smiling radiantly with deep dimple on his right cheek. There it was, bright orange sun with bunny teeth that almost resembled like amoeba I was drawing in my science homework book. “That’s beautiful. Thank you dear… Amma…” I screamed, “Have you seen my maths homework book? I can’t find it in my bag”. “Akka, see I drew your picture too”, said my brother, pointing to the stick figure with two ponytails with gaudy red ribbons. I looked at it in horror, no not because of gaudy red ribbons, but it was my maths homework book which I had been looking for since half an hour which now looked like M.F. Husain’s canvas with amoebas, sea weeds, and skeletons dancing around. The tears were welling in my eyes, and it was tears of blood. It didn’t take too long for little devil to realise what he had done. It was not the first time he was knee deep in trouble for displaying his artistic skills in his two elder sister’s class notes and homework books. 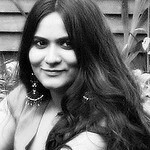 Unlike my little sister who never thought twice to send him back with red finger prints on his back, I was Gandhiji’s follower when it came to punishing my brother. And importantly I didn’t want to be grounded for one week for hitting defenceless, poor little siblings even when they drew moustache on my face with permanent marker while I slept. Well, I did take full revenge by sticking long, bushy tail to their skirt and shorts but for now we shall keep this secret between us, OK? I tell ya, it’s not easy being an eldest in the family of major trouble makers. So there was this amoeba, oops, sun with bunny teeth, stick portrait of yours truly with gaudy ribbons and few butterflies and birds suspended from God-only-knows-what-things; all artistically drawn using Camlin crayons, my own crayons which my dad had gifted for my birthday. Now not only I was left with my homework book full of my brother’s drawings but also broken crayons. It was no ordinary 12 coloured crayons but beautifully packed (yellow box I think) 48 different coloured crayons which I had proudly showed (more of a show off) to my class and enjoyed watching them twist their nose with envy. I didn’t know what hurt me more, ruined homework book or crayons. And the fact that my math teacher who adored my brother to bits didn’t help either. I knew she would simply accuse me for not being careful with my books and she wouldn’t like me pointing finger at this little fella who without any iota of doubt could beat Sherlock Holms hands down when it came to solving the case of hidden, out-of-your-reach, big-no-no books of mine! That was the day where I almost lost my temper and was overpowered by violent waves urging me to spank the little devil responsible for my colour blindness. He too must have got the whiff of devil in me waking up as by the time I could lift my hand he had dashed out the room at lightening speed. For next half an hour I searched every nook and corner of the house; under the bed and tables, inside the cupboards, inside dark pantry and kitchen cabinets, every possible place where 4 year old guy could easily hide. It took me another quarter of an hour to search every bush and pots in our garden but I couldn’t find my brother anywhere. By then I almost forgot the reason for my anger and was getting panicky about my missing kid brother. The headlines on next day’s news paper and news channels were flashing in my mind, “4 year gone missing due to abusive and malicious elder sister”. I closed my eyes and prayed to every possible 3 millions of God and Goddess and also began with “Hail Mary’s and Our Father” by crossing my fingers for extra prayer effect and looked up at the sky to see if God was listening to my prayers. And yes, he was there and listening to all my prayers! No, not God but my 4 year old kid brother perched on top of Breadfruit tree, with toothless grin. Holly molly!!! I have no idea how 4 years old managed to climb the tree, and I made a mental note for my next science article on Darwin’s “Theory of Evolution”. After another quick thank you’s to all 3 million Gods plus Jesus and Virgin Mary, I promised my brother that I will not beat him to purple. Yet, it didn’t look like he had any plans of climbing down, not because he didn’t want to but simply he couldn’t. Although he had successfully managed to climb the tree without breaking his leg or hurting himself, little brat had no idea how to get down. After few minutes and after good earfuls of scolding from my panicky mother and father, my brother was at last standing on ground in one piece. The tight hug with sloppy kisses from him was the one that stopped everyone screaming at each other and spread the smile of relief…. And if you are thinking they lived happily ever after, then think again!!! It was one of the thousands of panic attacks that our parents had to go through because of us, three toofani siblings. And if you are wondering about my brother’s budding artistic talent then let me tell you that it took good long 8 years for my brother to finally restrict his handiwork to his own drawing books. At last my homework and note books along with every wall in our house could take a breath of relief from inches of crayons that suffocated them for years. And it took us quite sometime to get used to the clean walls and books without colourful pictorials that covered every inch, except for ceilings (thank God for that!). I don’t have to explain this sudden gush of childhood memories that had flooded this post. Whenever I see a Breadfruit or Gujje (DeGujje in Tulu), my mind automatically switches to the day when my 4 years old kid brother had climbed the Breadfruit tree that we had in our small garden. My heart begins to sing the songs of wonderful, mischievous childhood. 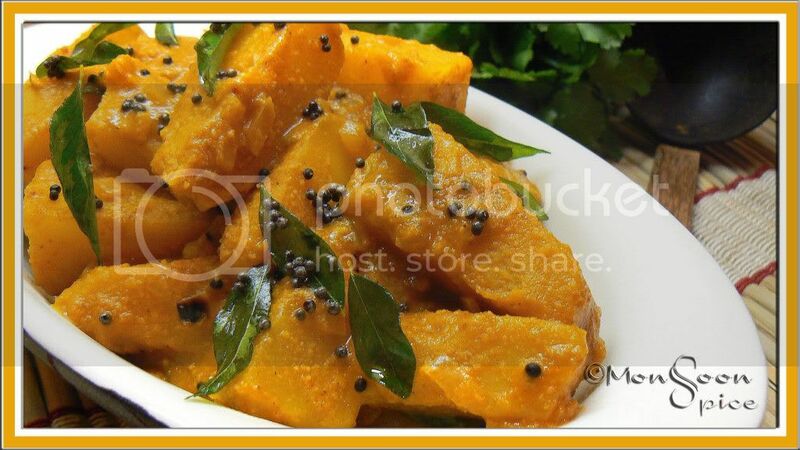 And to complete that song with a delicious dish today I am posting the recipe from my native, Mangalore. This is Breadfruit Song/Saung… This fiery, utterly delicious dish is usually made using Potatoes. But Breadfruit which is very common in my native is also used when it’s in season. Rubbery Breadfruit transforms into a melt in mouth delight when cooked in mouth watering gravy of chillies, coconut, tamarind and spices. You can’t help but lick your fingers clean when you taste this. If you don’t get breadfruit, try it with potatoes and they will taste equally delicious. So come along and sing a Song with me…. Cook bread fruit with ½ marble sized tamarind pulp, jaggery, turmeric and salt to taste, in enough water till it is cooked through, about 10-13 minutes. Meanwhile, dry roast cumin seeds, coriander seeds, dry red chillies and hing till the spices turn light golden red and are aromatic, about 1 minute, on medium flame. Let it cool completely. Now add this with 1 marble sized tamarind pulp, coconut and garlic clove and grind to smooth paste adding little water at time. Heat oil in a pan and add mustard seeds. When mustard starts to pop and splutter, add cumin seeds, hing, broken red chilli and curry leaves. Sauté till cumin turns golden brown. Now add finely chopped onions and sauté till it turns golden brown, about 2 minutes, on medium flame. Mix in ground masala-coconut paste and keep stirring till it becomes little dry, about 3-4 minutes. Now add ½-1 cup of water and cooked breadfruit and mix well. Simmer and let it cook for another 10 minutes so that all the flavours blend well. Add little more water if you need more of gravy and adjust the seasonings. Serve hot with plain Rosematta rice or white rice or with Chapatti and enjoy. It tastes better next day. Replace breadfruit with potatoes and follow the same ingredients and instructions. If over cooked, breadfruit can become mushy. So keep an eye on it while cooking. Lovely prelude. Enjpyed reading... reminds me of the pranks we did at my grandparents place!! (smiles). Lovely post.Looks gr8. I am hearing about breadfruit for the first time! Wow childhood days are best. Really those small small fights, gifts, climbing trees etc. Bread fruit is something new to me. The Saung looks yummylicious. Lovely to read about your bro sia..wonderful memories!..potatoes look tempting! Glad you shared those wonderful memories with us ! Each one of us surely have such lovely moments of fights,tantrums,patch ups with siblings,basically everything that could drive our parents crazy.But still sitting today and walking down the memory lane is undoubtedly the most amazing feeling !I can't help SING SONG"Woh kaagaz ki kashti woh baarish ka paani"the song that most aptly describe the nostalgic childhood memories. Breadfruit is something i had never tasted in my life.Just heard about it from my Malyali friend,who call them sumthng like kada chaka (ain't sure how they spell it).But it looks awesome ! I have not tried saung with breadfruit,but I follow a similar preparation with toordal and a gravy like the "ghashi"-we konkanis do.This is lovely. Loved the colour of the dish and your childhood memories even more. 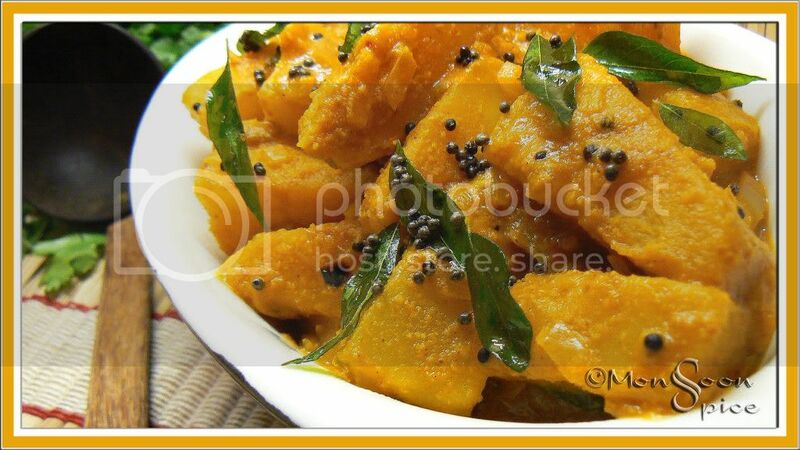 I had never heard of bread fruit before.. your dish looks so rich, creamy and delicious. The dish looks delicious, but what is bread fruit? sorry for my ignorance. I'll have to try this with potato. That breadfruit song looks positively divine. Thanks for this lovely recipe, Sia. never heard of breadfruit.. looks delicious. 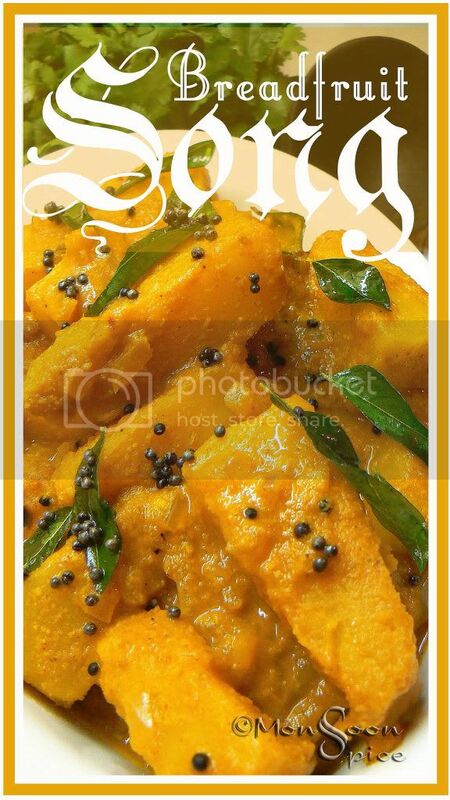 You reminded me of those wonderful moments i had during my days at home in Mangalore.I always licked my fingers after eating mom made potato saung.Breadfruit reminds me of delicious rava fried podis which i ate at my aunty's house and was always waiting for her to invite us home just to eat those podis again. Ha ha poor brother, all his work of art was not appreciated by these ladies :) U guys were pretty jealous , that u couldn't scribble like him? Breadfruit and jackfruit are same? Nice story, have had many similar experiences with my kid brother, fought regularly even though we are 8 years apart and everyone would say "What would YOU two fight about?" because of the age difference. And some would say it's because of the age difference! A beautiful post! Yes, it brought back memories of my childhood too. Thank you for the wonderful recipe and for your comment at my blog too. Hi Sia, Nice reading this post. Never tried bread fruit, Look so good. Awesome picture. Nice recipe. I never heard of breadfruit....but this looks similar to aloo...where did u get it sia??? This is new for me, very nice recipe and looks greatttt!!! well, math book got more than it deserved.. for a subject so dry and boring, ur li'll bro did a gr8 job to bring some color in it! LOL!!! Say, do u have a pic of the whole breadfruit? I have never seen one, let alone taste it. Sia this is a compltete new recipe for me :). looking superb as usual. that was a lovely read Sia! Thanks for bringing back childhood memories. Those were the days! Breadfruit song looks amazing and delicious. Came upon your delicious recipe while looking for more things to do with my breadfruits. Loved your sibling recollections. I had 4 of those naughty younger brothers, but wasn't nearly as lenient an older sister.